Diabetic Retinopathy (DR) is a term to describe retinal damage which may or may cause visual loss and occurs as a result of Diabetes. 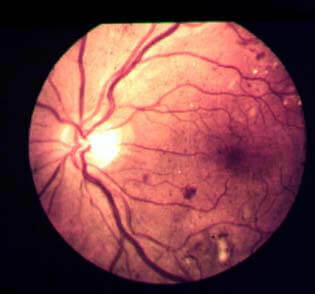 The treatment of DR varies depending on the severity of retinopathy and whether or not the macular is involved. Mild background DR requires no treatment. Patients should be advised on the importance of controlling their diabetes and keeping as healthy as possible. Normally background DR is reviewed annually. However, if the macular is involved but there appears to be no oedema and the visual acuity is unaffected, I would still do an OCT to confirm and monitor 6 monthly instead of yearly to be on the safe side. 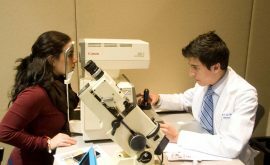 Photo: University of Wisconsin Fundus Photograph Reading Center, Madison, WI. Patients with advanced background/pre-proliferative DR need to be carefully monitored but they don’t always need treatment. In some instances when there is macular oedema present, the patient is treated with an argon laser. 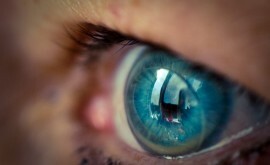 This works by burning the leaky vessels and microaneurysms in the retina which seals them off, stopping the leakage. If the area of leakage is small and well-defined, ‘focal treatment’ is used. This means the laser selectively seals off the area. Normally the laser spot size is 50-100µm and is exposed to the retina for 0.1 seconds. This treatment is normally done 500-3000µm from the centre of the macula but if the patient has CSMO with visual acuity below 6/12, the laser can be conducted a little closer at around 300µm from the centre of the macula. However, a shorter exposure time of 0.05sec is recommended due to the close proximity to the macula. With larger areas of leaking capillaries, such as diffuse macular oedema, ‘grid laser treatment’ is used. The spot size is slightly bigger at around 100µm and exposure is 0.1 seconds over the entire area of retinal thickening 500µm away from the centre of the macula. With the above treatment around 70% of patients achieve stable visual acuity. However, in 15% of patients visual acuity improves and in 15% of cases, deteriorates. Patients are normally monitored very closely during this time of treatment but re-treatment is not normally considered at an interval of less than 4 months because it takes around this time for oedema to resolve. When the patient has proliferative DR with neovascularization, the retina needs to be treated to prevent new vessel growth. 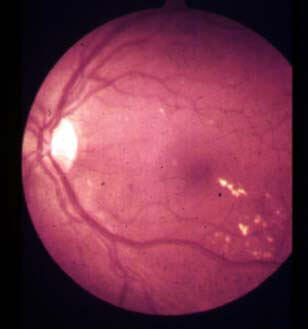 This is achieved using pan-retinal photo-coagulation (PRP). 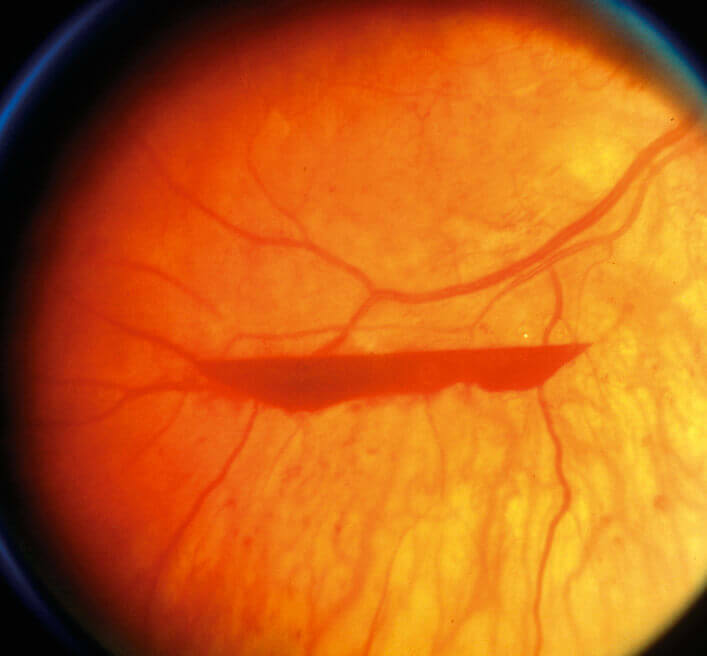 This type of laser does not target individual vessels but destroys the ischemic retina, decreasing the angiogenic stimulus (VEGF) and therefore minimising (and very often completely stops) the development of any new vessels. 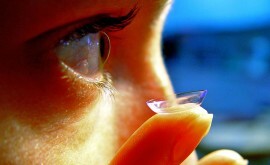 The laser spot is between 100-500µm depending upon which contact lens the Ophthalmologist uses to do the procedure. Around 1000-2000 laser burns are scattered around the peripheral retina in either one session or over a few sessions. This treatment does have some affect on the peripheral vision and some patients may complain of reduced night vision due to rod receptor loss. 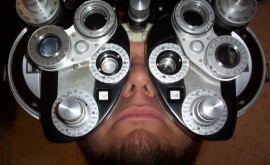 However, overall this treatment is normally very effective where the patient’s central vision is maintained. Patients with proliferative DR may get a vitreous haemorrhage. If this occurs, a vitrectomy may be required to avoid further complications and may also be done if the retina has already detached. 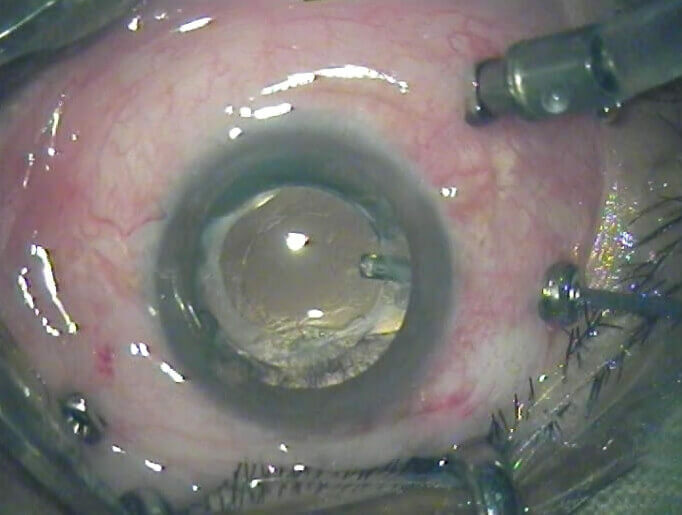 The vitreous is removed and replaced with saline. It is quite a delicate procedure and success depends on the specific indications for surgery. However, generally around 70% of cases show some signs of visual improvement, 20% show no improvement and 10% of cases worsen. Retinal detachments are by far the worst case scenario in terms of DR and treatment varies depending on where the retina has detached. 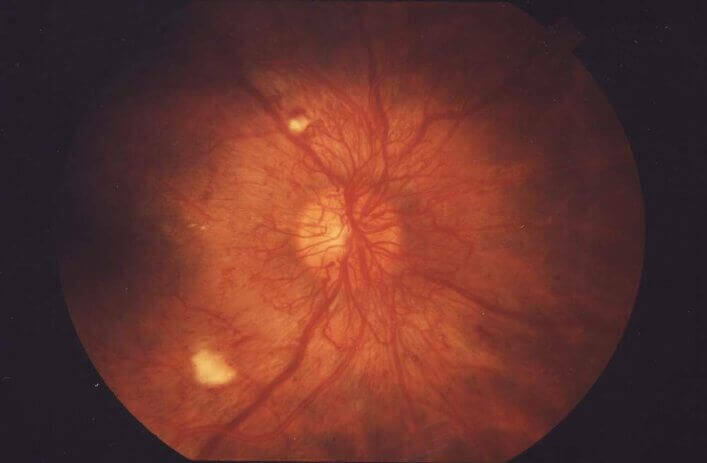 The next article will discuss the types of retinal detachments and the types of treatments available.